Welcome to my latest post supporting the RSPB ‘Give nature a home in your garden’ campaign. 60% of the UK’s wildlife species have seen a decline over the last fifty years, and the RSPB campaign aims to encourage us all to take small, achievable steps to help nature in our own green spaces. We’ve already started to make our garden more wildlife-friendly by sowing wildflower seeds to attract pollinating insects and provide shelter for small animals. This month we’ve been using the RSPB’s Grow Flowers for Butterflies guide to make our garden a haven for butterflies. Like many other native species, butterflies are suffering due to the ongoing loss of wildflower meadows. Less meadows means less habitat for them, which leads to declining numbers. Butterflies are an important element of the food chain, and also play a key role in the pollination of plants. And of course, butterflies are a beautiful addition to your garden as well. All very good reasons to help support these fragile creatures. 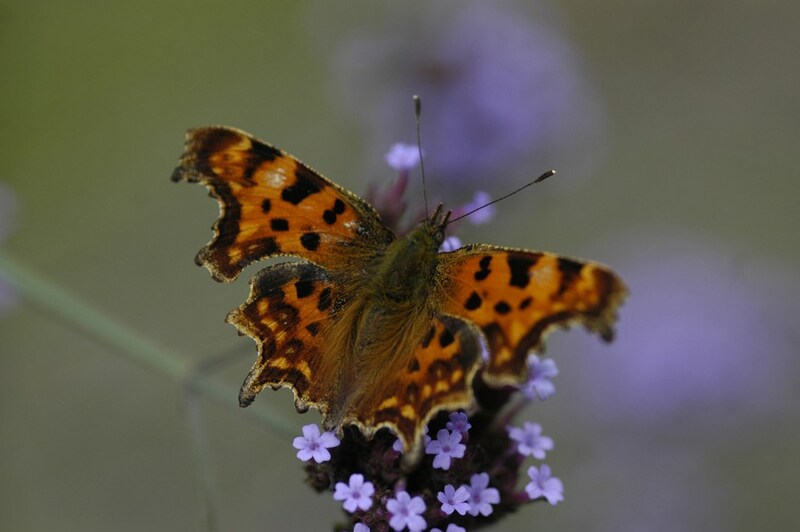 So what plants should we be growing in our gardens to help butterflies thrive? 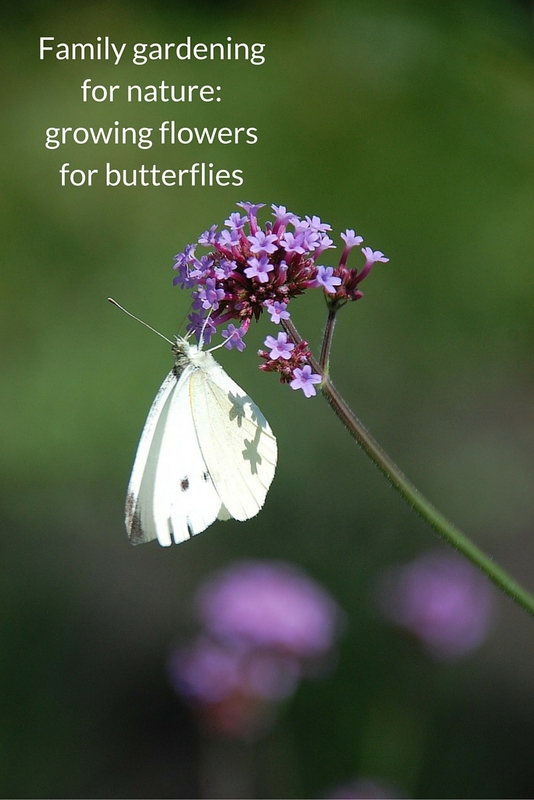 The RSPB Grow Flowers for Butterflies guide gives suggestions for what to plant in Spring, Summer and Autumn. As we’ll be heading into Summer very soon we concentrated on the Summer plants. Before we started, we spent some time talking about butterflies and why it’s important to look after them. 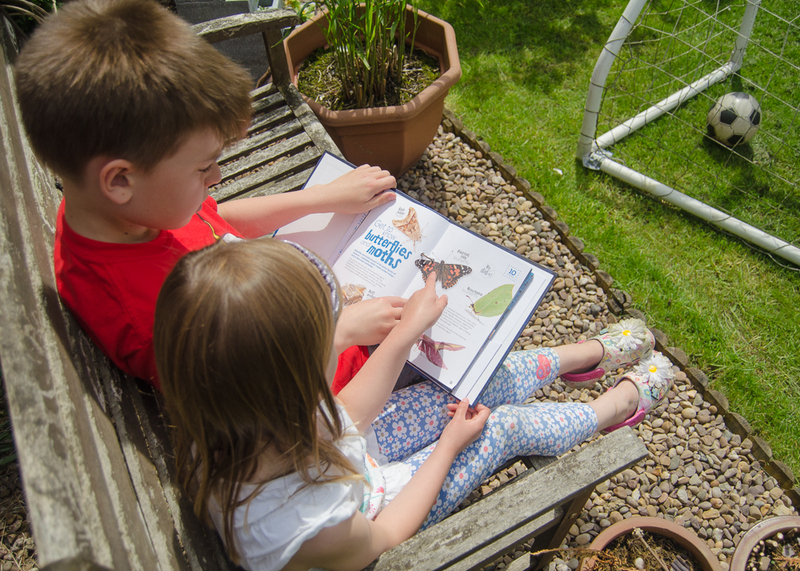 We found a really informative page all about butterflies and moths in our RSPB family Nature Discovery Pack. Next, we looked at the online guide’s list of suggested plants, to see if we already had any in the garden. Finding the plants in question was a lovely extra activity for the kids, it was a bit like an outdoor treasure hunt! We already had Lavender in the garden, and also a couple of Verbena bonariensis in pots that were waiting to be planted, so in they went. Butterflies also love to feast on Wild Marjoram, and as we didn’t have any of that in the garden we decided to grow some from seed. 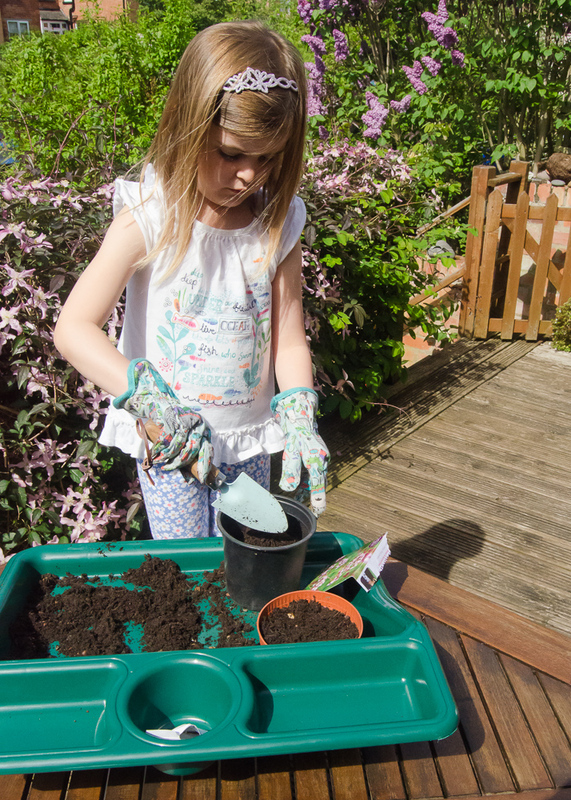 The kids love sowing seeds, so we spent a happy half hour with the pots and compost. Echinacea purpurea (also known as Coneflower) is another flower on our list, but they won’t be available in garden centres for a couple of weeks yet, so we’ll add those as soon as they’re available. The best place for butterfly-friendly plants is in a sheltered, warm spot in full sun, as that’s where butterflies like to feed. 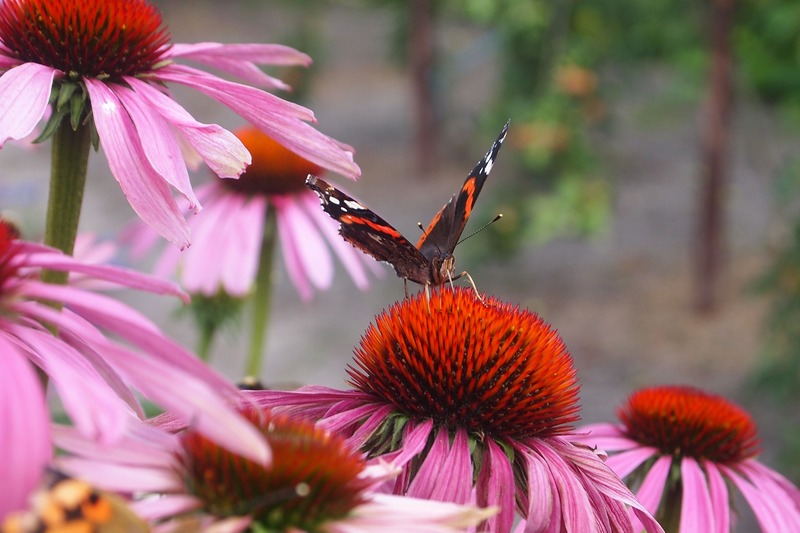 Butterflies love to flit from plant to plant, so if you can plant more than one of the same variety that’s ideal. To give our new plants the best chance of thriving, we’ll regularly water them and clear away any weeds. They’re not in flower yet, but it won’t be long before our garden is offering a butterfly feast. When they do flower we’re going to have a butterfly-spotting session and see how many species we can identify. 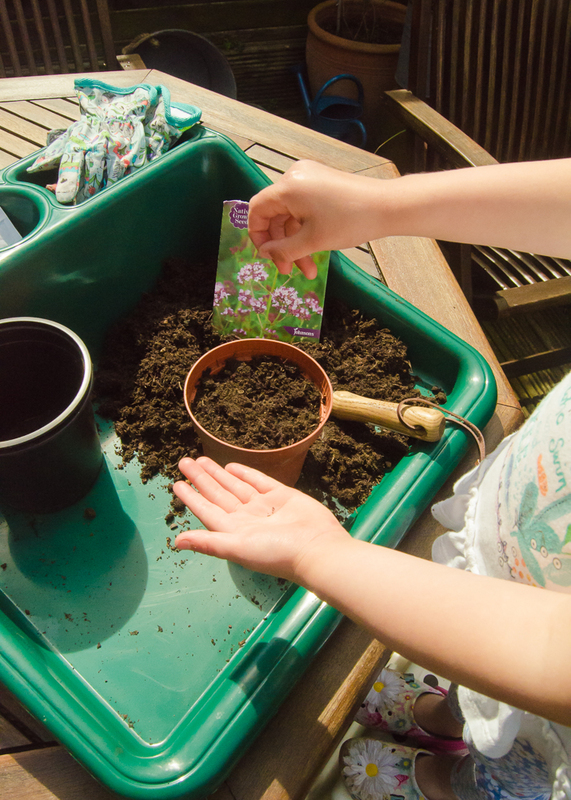 Growing flowers for butterflies was a really lovely family activity. 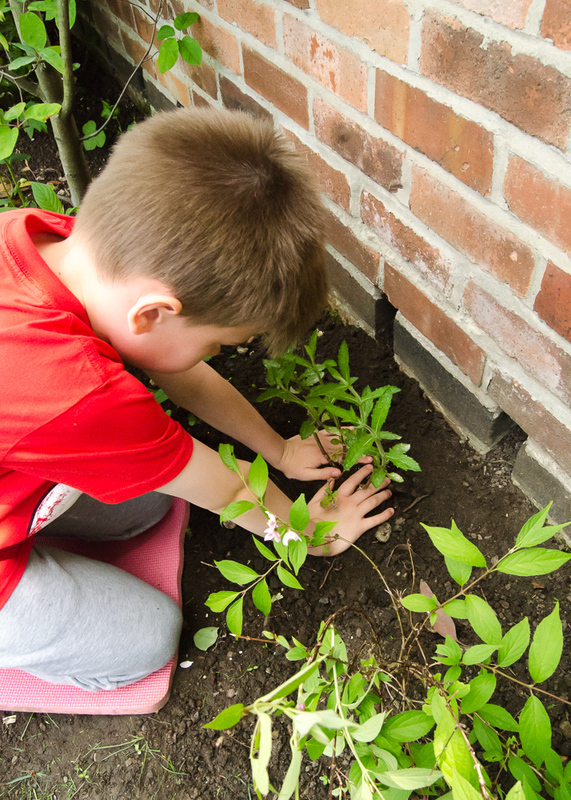 We learned some new facts, spent some fun time outdoors planting and seed sowing, and made our garden more wildlife-friendly at the same time. 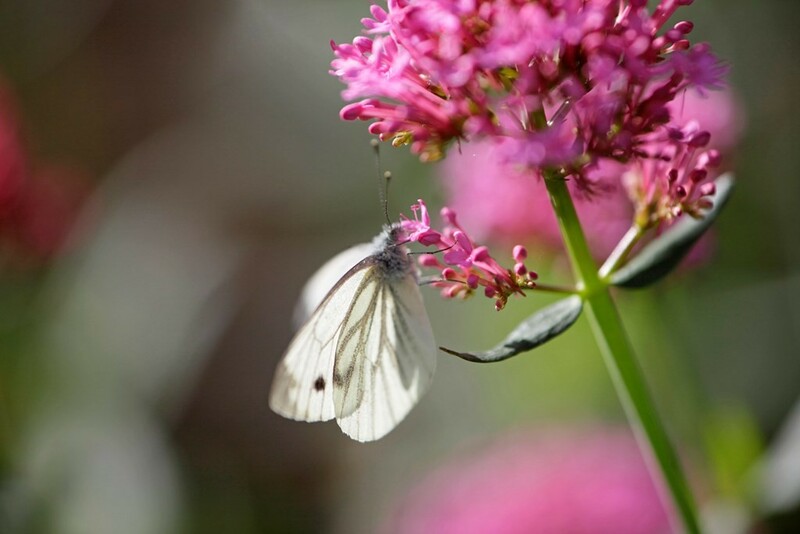 And we’ll have lots of lovely flowers and butterflies to enjoy over the Summer too! 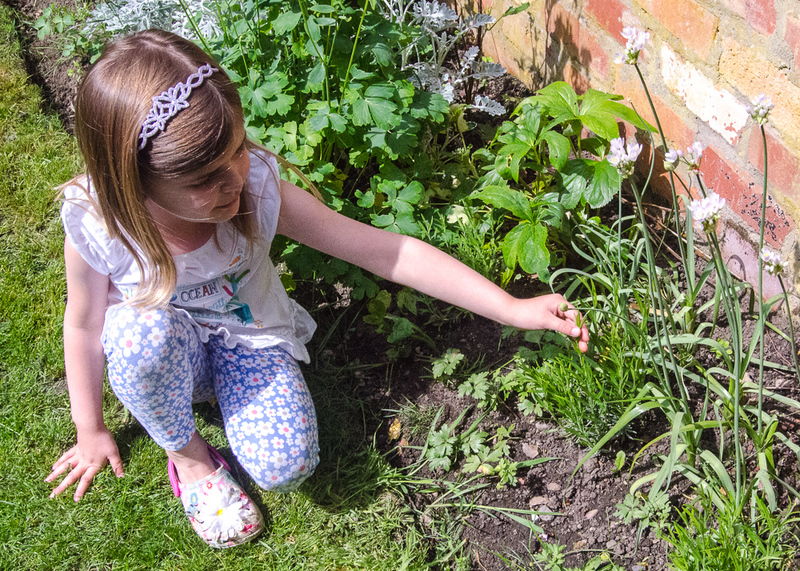 There are lots more ideas for family-friendly nature activities on the RSPB website -and you can get a free personalised plan for your own garden. Just put in your postcode and the size of your garden to generate tips on how to help wildlife where you live. We’ll be sharing more of our experiences soon, as we try out some other ways to make a home for nature in our garden. Do share your own tips in the comments too, it would be lovely if we could all inspire each other to help support our native wildlife. So pleased you’re enjoying the blog – and how lovely being able to create your ideal garden from scratch. I love the ‘grow your own soup’ idea, my kids are always much more enthusiastic about eating veg if they’ve grown it themselves! They really do love getting stuck in. We have varying degrees of success, we try to grow things that are easy and will put up with a bit of neglect! Such an important issue. I think that’s great that you involve the children. Totally agree – and the kids love it too, mine are a bit bug-mad and always love a bit of nature gardening! Oh don’t get me started on the slugs! Last year they pretty much ruined our potato crop, I’m hoping they find the weeds more tasty this year! 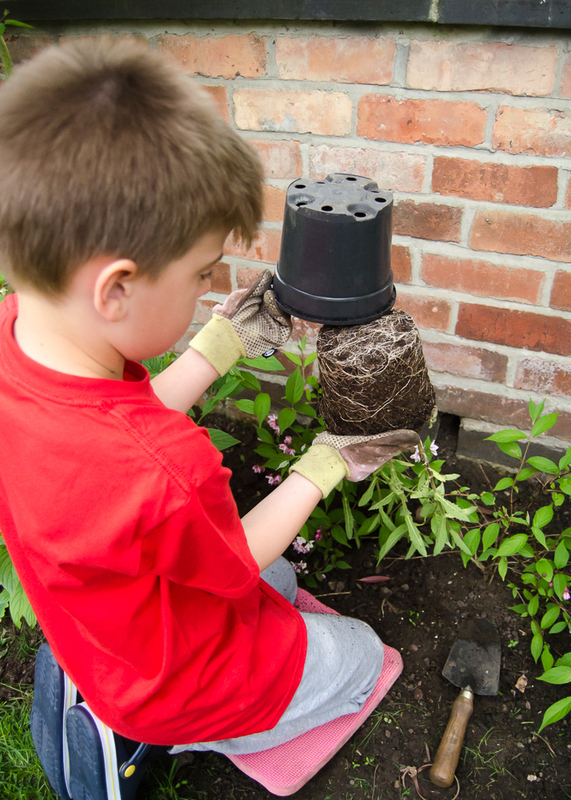 Do check out the RSPB website, there are so many brilliant ideas for nature gardening on there.